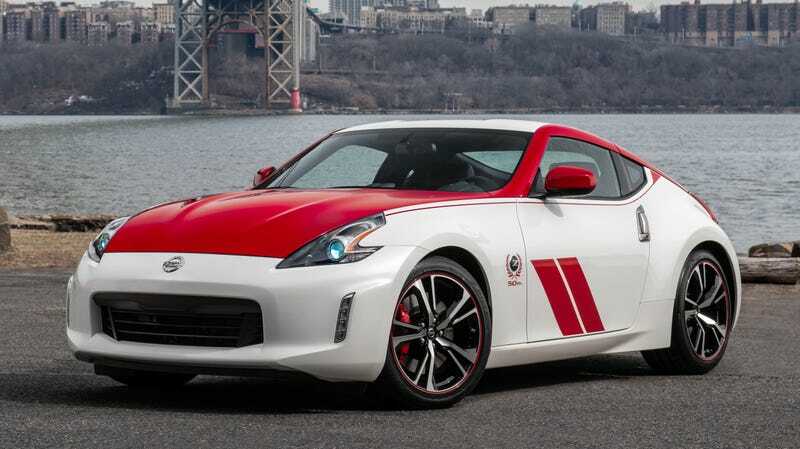 Meet the 50th Anniversary Edition Nissan 370Z. No, the 370Z hasn’t been around for 50 years, though it kind of feels like it. 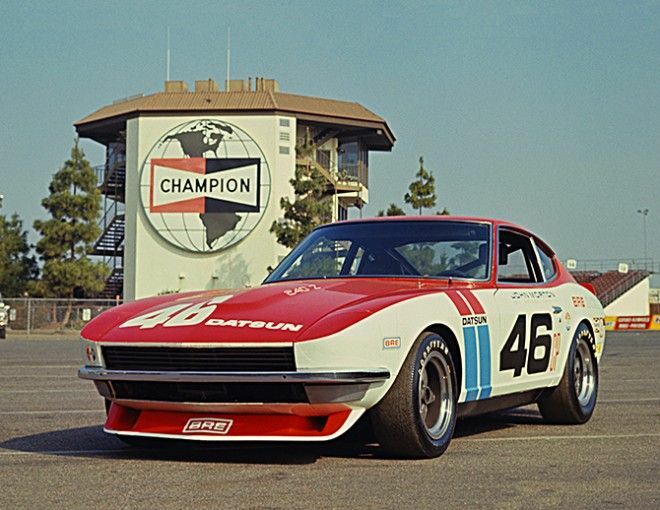 And while it’s sad we can’t celebrate this important anniversary with a much-needed all-new Z car, I can say that with this BRE Datsun throwback livery the 370Z has never looked cooler. The difference is this time it’s something everyone can buy, and it comes in two BRE-inspired paint schemes: white and red or black and silver. I’m especially partial to the former, and I can’t wait to see these on the road. It looks, as one notable fan once put it, awesome. Nissan says this is an enhanced version of the base Sport trim that includes a tweaked interior with red accents, an Alcantara steering wheel, 50th Anniversary badges throughout and other cosmetic tweaks. You also get Bridgestone Potenza S007 tires on RAYS wheels. The powertrain remains unchanged with a 3.7-liter naturally aspirated V6 putting out 332 horsepower and 270 lb-ft of torque. The anniversary models can be had with a rev-matching six-speed manual or a seven-speed automatic. Pricing hasn’t been announced yet. Nissan’s also bringing a bunch of other old-school Zs to the New York Auto Show this week, so expect plenty of coverage of those on the show floor. Now give us a new one, Nissan. 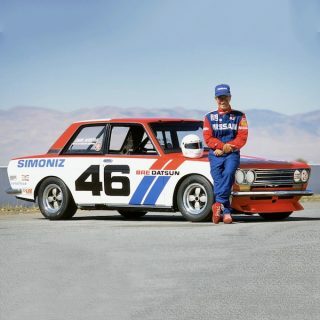 Or the IDx Nismo. No, I’m not letting that go. I’ll never let that go!